TOKYO, Feb 6, 2018 - (JCN Newswire) - Mitsubishi Motors Corporation (MMC) has announced nine-month financial results for the period to December 31, 2017, and issued a new forecast for its full-year fiscal results ending March 31, 2018. 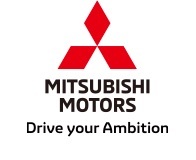 For the nine-month period to December 31, Mitsubishi Motors reported revenues up 13% year-on-year to 1.52 trillion yen. Operating profits rose sharply to 64.6 billion yen, representing an operating margin of 4.3%, compared with an operating loss of 23.2 billion yen in the same period of fiscal 2016. The company generated net income of 70.1 billion yen for the latest nine-month period, reversing a net loss of 213.3 billion yen in the prior-year nine-month period. Global sales volume for the nine months ended December 31, 2017 increased 15% year-on-year to 777,000 units, reflecting strong demand in Japan, China and the ASEAN region. Sales in Japan increased 24% year-on-year to 62,000 units. The growth was driven by the resumption of Kei-cars sales, with encouraging demand for models including the "eK Wagon" and "eK Space", as well as for the Delica D:5 and other "Active Gear" series. In China, sales rose 63% year-on-year to 103,000 units due to demand for the localized Outlander. ASEAN sales increased by 25% to 187,000 units due to the strong performance of the new XPANDER MPV, which was launched in October in Indonesia. Sales of the new Eclipse Cross compact SUV have begun smoothly in Europe, which will be followed by other important markets including Oceania, North America and Japan. Demand for the Eclipse Cross is expected to contribute to future sales growth in the full-year and in fiscal 2018. Osamu Masuko, Chief Executive Officer of Mitsubishi Motors, said: "Given our recovery trend and strong performance in the first nine months of the year, we have today revised our full-year forecast upwards. Demand for new models and increased operational efficiency gives us confidence that we will accomplish this goal for this fiscal year. We will also continue to make necessary investments to build a foundation for our future growth. Based on this outlook, we have revised the year-end dividend forecast from the previous forecast of 7 yen per share to 10 yen."